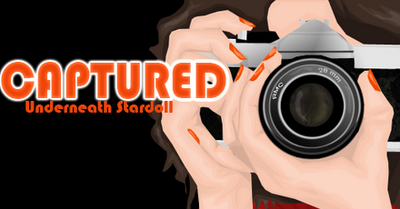 STARDOLL FREE | Underneath Stardoll Blog: Captured: roxeyd! Click the picture above to go to her suite! Hey USD! Adri here, with your weekly Tuesday post. I have decided to capture roxeyd. Her name is Dana, and she is from Canada! I think her outfit is different, and I love the way she combined everything. Especially the wing idea. That's really pretty. I just wish she would have used some blue or purple shoes, at least it matches the belt! I also think the hair has the affect which makes it completely like a fairy. I had to capture this! Here's what the rest of the team has to say..
Aurelieke92: I'm not too impressed, but i like it! It's very mystical, and I like the use of the multiple wings. Puts the Other World store to good use. kickherout: WOW that's what I love about captured ! You can always be surprised by what your team has found. It's very hard to comment because it's not a common outfit to wear. But I can say that I'm a little bit disappointed by the shoes she has chosen : why that simple whereas you are using wigs ? Anastasiarts: I like it, it;sbeautiful. The doll looks like a real fairy, it's very cute! All of the clothes are matched together nicely and i also like the color combination ( i love purple!). I think the hair color is irrelevant but it doesn't matter, the rest is brilliant! That's it for this lovely Tuesday!